It’s commendable to remember horrible deeds from a place of inner peace and stability, thus truly find healing and happiness with what is offered to us in the present moment. I can’t even pretend what it was like. It’s absolutely true I’m privileged to have been born and raised in a relatively free environment. It’s within this environment and the choice to (truly) understand history that the appreciation of what we have in the present allows us the privilege and freedom to remember the past. In my mind, “never again” has lessons for us to learn, especially now. Thanks for reading and for your comment! You’re welcome, Dani; thanks for reading. Thank you for sharing one of the most painful events in our history. It remains a symbol of the horrors that followed. Hi and you’re welcome, Elena. With well-deserved attention in North America to Remembrance Day and Veterans Day in Canada and the US, respectively, as well as the fall of the (Berlin) Wall in Germany, it can be easy to forget the “dubious” anniversary and, quite frankly, the ugliness surrounding Kristallnacht. I’ve written about Remembrance Day and the Berlin Wall, and it was time I wrote about Kristallnacht. Thanks again for reading and for your comment. Thanks for this quiet remembrance of what we should not allow again. Hi, Bronwyn. Thank you for reading and for writing. There’s much to remember this weekend, and I didn’t want Kristallnacht to fall too far below the radar. 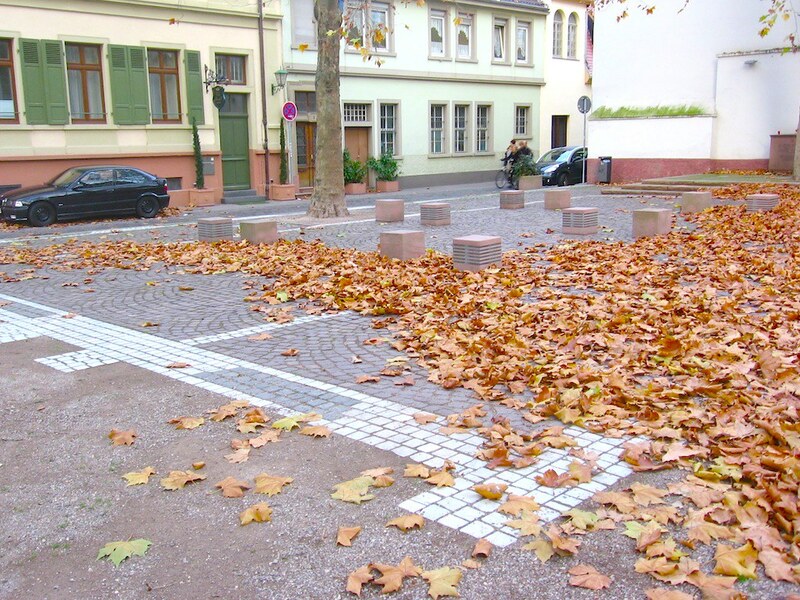 I visited this spot several years ago from my Australian home, staying at the quiet residential hotel opposite. 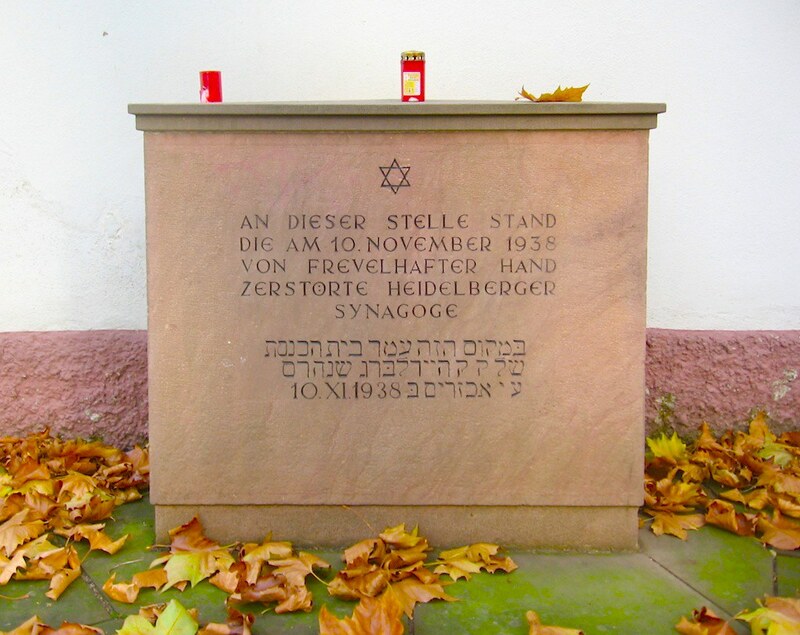 It is hard to imagine the horror perpetrated by those bullying, arrogant and ignorant Nazi murderers, hard to sit in this very spot and contemplate the fears of peaceful Jewish parents for themselves and their kids, fears which proved justified as they were taken to their executions through disease or gas chambers. Are there lessons to be learned still? How can a civilized and cultured society be reduced by one man and his disciples to such depravity so quickly? Lest We Forget. Those good folk died for us, so that we would remember what happened, say never again and rise up against another Hitler. Hi, Stacey. It’s great to hear from you, and thank you very much for your comment. I keep going to Germany because frankly, I love being there, and secondly, I’m trying to understand not only the lessons from the 20th-century but also the nation’s and people’s history from centuries before. Everybody and every nation forge and follow their own different paths, and yet as human beings, we seem to be susceptible to similar patterns of motivation and action throughout time. Thanks again for stopping by!